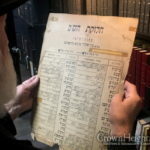 As we have entered the month of Kislev, many chassidim are considering which mesechta to learn this coming year in participation of the annual chalukas hashas. With that in mind, I am posting another anecdote concerning my father Reb Meir a”h, whose yahrzeit was this past Wednesday. One of my father’s peulos (activities) during the thirty-two years my parents lived in Michigan was to arrange a chalukas hashas every year. During their initial years in the city, they were the only Lubavitchers living there, so the people who participated in the chalukas hashas were either from other groups of chassidus or Litvish. The siyum hashas which my father “happened” to schedule it on Yud-Tes Kislev, was a large celebration attended by all those who had participated, as well as many others from the community. 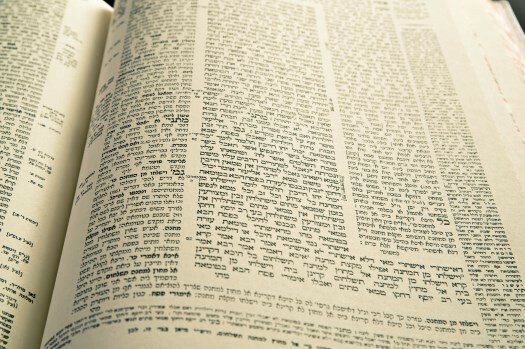 As customary at such events, one of the Rabbonim of the community was honored with making the hadran/siyum, while another one was given the honor of beginning it anew. Then, my father, who had arranged it, would turn it into a chassidishe gathering and would farbreng, explaining to all the importance of Yud-Tes Kislev. The way he divided the shas was as follows: He would ask the Rabbonim and learned baalei batim (members of the community) — many with whom he was a fellow participant in the evening Kollel. And they would learn three hours every night Gemara — which mesechta they wished to take. After they all chose their mesechta, he would commit to learn the final one or two mesechtos. It happened one year that the final mesechta that was left was mesechta Sotah, so my father dutifully wrote down his name for this mesechta. Then, as was customary, he would send in the entire list to the Rebbe, requesting a brachah for all the participants. That year, in addition to receiving a brachah for the participants, the Rebbe noted that my father should learn another mesechta as well. The way my father understood and explained this note of the Rebbe was that when one is learning a mesechta anyways, such as he was then doing, or if a teacher is teaching a certain mesechta that year to his class, since that learning is being done anyways, you are not learning it specifically because you desire to participate in the takanah, you were going to learn it even if there was no such takanah. Participating in the chalukas hashas means to learn something additional, and the only reason I am doing so is because this is a takanah of the Alter Rebbe. While the above addresses one of the questions that was asked on last week’s story, it doesn’t explain the question of why one’s connection to Hashem is specifically through davening and not (as much) through learning, especially when you are speaking about a person who enjoyed and devoted a few hours every day to learning. 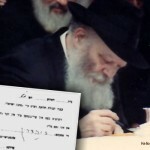 In Kerem Chabad, Rabbi Mondshein publicized the accusations that were levied against the Alter Rebbe. Many of the accusations dealt with this very question: “Why do you place so much emphasis on tefillah, instead of on limud — learning? The Alter Rebbe explained that davening used to be the main focus of all Jews, as the first Mishnah in Berochos states; that the original pious individuals used to spend one hour preparing themselves for davening, one hour davening, and one hour after davening. So davening was extremely important. However, over the years of exile and difficulties, its importance began to fade from the Jewish people, and chassidism brought davening back to its rightful place and importance. Our Sages inform us that tefillah takes place of the korbonos. Simply explained, this means that since we are not able to physically bring a korbon until the third Beis Hamikdash will be built, may it be speedily in our days, we daven instead. However, Chassidus explains it to mean that davening can accomplish the same thing as a korbon accomplished. The purpose of bringing a korbon is to demonstrate that the physical animal is elevated and goes up to Hashem. So too through davening, a person can and is supposed to become united with Hashem completely. Obviously, this subject that you raise is an entire “mesechta” in itself, as learning Torah also has aspects and capabilities that are not in davening, but as I noted above the goal of this weekly column is to relate stories and inspire people. Interesting story and lessons! A quick shaylah: If someone is learning anyway (such as in Kollel or a shiyur) or saying Tehillim anyway can it not be dedicated in zchus of someone needing a yeshuah? Does it need to be an additional learning period or additional perakim of Tehillim? Based on story, one would think that the customary learning or Tehillim can not be used for another purpose. This is a practical concern! As I wrote this conversation belongs offline and with mashpiim. Nevertheless i will answer in brief to your two questions or thoughts. Our chazal inform us that the person who learns (reviews) a lesson 100 times doesn’t come close to the one that learns it 101 times. This one is doing what he is accustomed to and this one is going beyond his comfort zone. The difference is so stark that the one who only reviews his lesson a hundred times is called lo avodo (he did not serve Hashem). even though he is learning the shiur 100 times. however, the person that learns it one more time is called avodo – one who serves Hashem. so you see there is a tremendous difference if you are doing what is regular for you or if you do something more than your nature. In the case of tzedokah that you mentioned. Would you say that if a person who gives maasar and says this is lzchus so and so, obviously it is beneficial for that person,but is it the same to a person that gives something extra,more than his maasar in honor and in zechus that that person should have a refuah. The same thing with Tehillim, our custom is to say the tehillim as it is divided by the days of the month. but as in the story of Yud TesKislev, when the Alter Rebbe was in jail/danger, he alsosaid the Tehillim as it is divided by the day of the week, and therefore hewassaying kapital 55 which is part of the tehillim for the 10th day of the month on the 19th, as it belongs to the third day of the week. Chazal in Brochos were critical of those that were “Manichim chayay olom (they neglect time that could be utilized for learning Torah by spending it…) v’oskim b’chayay sha’ah (by spending the time on tefilah). I will advise you to learn a maamar of the Frierdiker Rebbe published in Sefer hamaamorim kuntreisim vol. 1, pp. 215-232, which explains this saying of Rava. Rava saw Rav Hamnuna davening at great length (nine hours a day) and said to his students He is involved in Chaya sha’ah and not in chaya olam. Just one point of that maamar (which is in Yiddish) that when learning Toras Hshem,one is devoting his energy to understand something that Hashem granted us the ability to understand. However, by Tefillah i am devoting my energy to attach myself to something that is above me, something that i cannot attain on my own. I answered just to show that there is an answer, however, as i said this is not the forum for it. Added: Learning Torah has the ability to EXEMPT someone from tefilah, as Rashbi v’chaverov reached state of Toroso Umnoso. But conversley, davening does not exempt someone from learning Torah. (Indeed by the chassidim ha’rishonim the Gemarah asks if they spent 9 hours davening what happened with their learning time – and the Gemarah answers they haf merit in their Torah that it was preserved). If someone is interested in getting answers to sincere questions about chassidic conduct (as an example: I always questioned the using a mikva on shabbos which seems directly against halacha) and if someone wants to discover more about the ways of Chabad how it conforms with accepted Yiddishkeit, is there a mashpia or rabbinical authority available that you can suggest? The first part of your question is perfectly logical and therefore I replied to the first two posts. However, the tenor of the later part is argumentative. I am not a Rov but there are many extremely prominent Chassidic Rabbonim who go to the mikva on Shabbos and they are aware of all of the questions you allude to, but nevertheless they paskens it is permissable. Two years ago I posted a story that the chofetz chaim instructed someone who came from a chassidic family to go to the mikva on Shabbos and it was mashma that he himself went as well even though he writes not to. But yes I know of many mashpiim whom are more qualified than I to explain to you darker hachassidus v’hachassidim but I will not post their names on a public forum. You have to realize that the Alter Rebbe wrote a shulchan aruch so he is aware of your questions yet he conducted himself in a manner that may be different than he wrote as the Rebbe mentioned concerning a young girl lighting her own shabbos candles and chassidim not sleeping in a sukkah. I am worried about confidentiality. The impact on my position and on my family worries me. You canot imagine the risk. You need to understand that it is not disrespectful to not accept certain hanhogos, even if Alter Rebbe held it is ok. L’moshol, no one would claim to know halacha better than Bais Yosef or Rambam, and indeed sefardim follow these giants, but many halochas are not accepted by Ashkenazim because other poskim disagreed. Of course, the Bais Yosef or Rambam knew of any possible arguments on their psak, and if we as Ashkenazim don’t follow the BY or Rambam, it isn’t that we think we know better, rather, we accept the psak of Ramo or other poskim. In no way are we disrespectful by not following these undisputed giants of halacha. However, with using your example you don’t ask how do sephardim conform you understand that they have their sources which are established by giants or biharirei kodosh. Concerning your privacy I believe I have demonstrated with the saga of Malka, that I understand and respect a person’s need or even their desire to remain unnamed. My need for privacy is not like that of Malka and cannot be compared. I am in a community which is “hostile to outside influences”, while Malka isn’t in any community. I am a rosh chabura and give shiyur to bochurim, therefore, my hashkofos are rightfully scrutinized, while Malka is a medical doctor. My children are in mossdos chinuch and can be summarily expelled or refused admission without explanation, while Malka has no children. I have a wife who will be shunned socially and will suffer greatly, while Malka is unmarried. I think the risks outweigh the benefits. I think you can contact many Lubavitchers incognito and your cover won’t be blown. I never had a problem that Chabad doesn’t sleep in a sukkah. Chabad comes from areas in Russia that have early winter, even snow on sukkos is not so unusual. For sure they would be pottur from sleeping in a sukkah. The custom remained with them…I totally understand that. I am in a deep quandary if I should pursue learning about the derech of chassidim (in areas that don’t match with the yeshivish world) and likewise discovering more of the light of chassidus. There is no daas Torah that I can turn to in my community so I asked if there is an official person that I can turn to in your community! Not sure if it is appropriate to volunteer someone else as the Rov has many other obligations, but if you are serious then speak with Horav Heller shlita.